Hi there, here's a new set for you guys. This is again my girlfriends work, she's learning modeling in 3ds max on these assets. 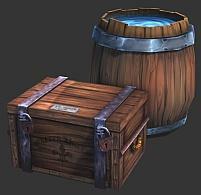 There are three different textures for the barrel - water, gun powder and sealed lid. This looks pretty damn good. Thank you. Its really cool, ive imported it into Unity using the Toon Shader, looks really like out of zelda or another big game. 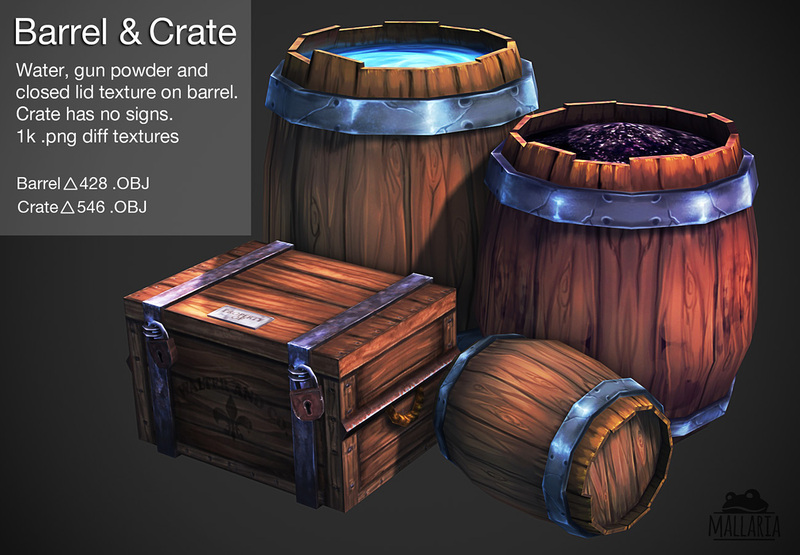 The hand painted textures are also great! This site has no shortage of crates and barrels. But this one really stands out as a beautiful piece. Thanks for sharing this. I might actually be able to use that chest for my Cowboy game, let her know that her work is really cool!